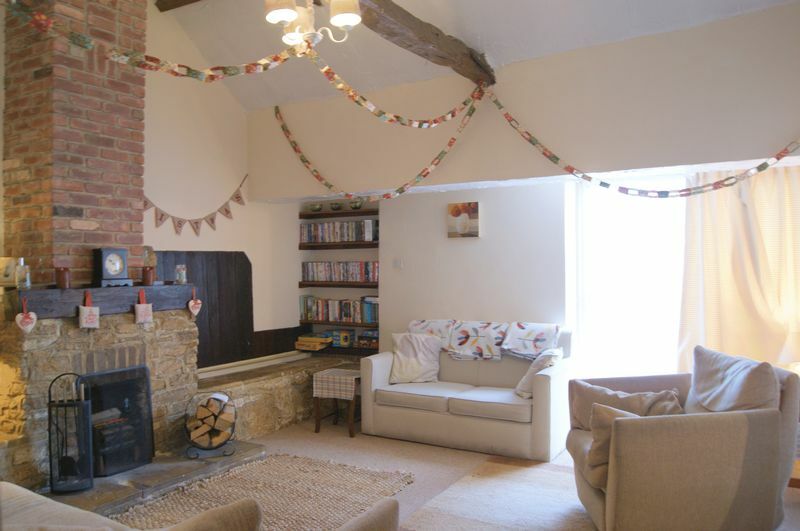 Lawn Cottage is a substantial five bedroom detached cottage with additional self contained one bedroom annexe which is currently used as a successful holiday/short term rental property, situated in the heart of this tranquil and popular village. 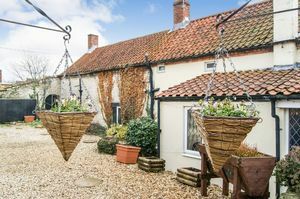 The property retains a wealth of character and charm, and in addition to the five bedrooms, there are five reception rooms and an excellent sized kitchen. To the outside is ample off road parking, and the large garden to the rear is a further particular feature of this very unique home. Oil fired central heating is installed. Early viewing is essential. The village of Ropsley is approximately 6.5 miles from the market town of Grantham and has its own primary school (Ropsley Church of England Primary School). The market town of Grantham is steeped in history, and has a large selection of independent retailers and high street stores offering an eclectic mix of goods and services. Grantham is ideally placed for commuter links with the A1 easily accessible for travel North and South. Nottingham, Lincoln, Newark and Stamford are also within commuting distance. In addition, Grantham Railway Station is on the East Coast mainline and regular trains to London take approximately 70 minutes. Schooling in the area is of a high standard with two excellent grammar schools, and there is also a state of the art indoor tennis centre. Grantham is a charming town with a lot to offer including a cinema, town football club, ten pin bowling, to mention but a few. 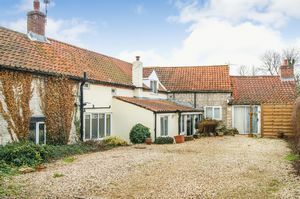 In the surrounding area there are a number of highly acclaimed National Trust properties and parks, together with championship golf courses and delightful country walks in the Vale of Belvoir. The entrance porch is accessed via a sliding door, and has windows to the front elevation. There are glazed French doors leading into the very spacious entrance hallway. The entrance porch has a tiled floor, wall light points and a further internal door that leads through into the annexe accommodation. 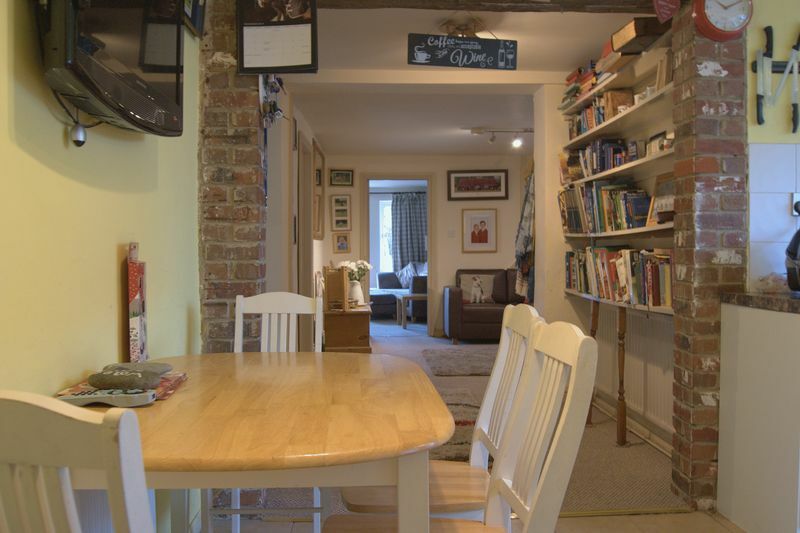 The very spacious 'L' shaped entrance hallway provides access to the lounge, study, sitting room and kitchen. 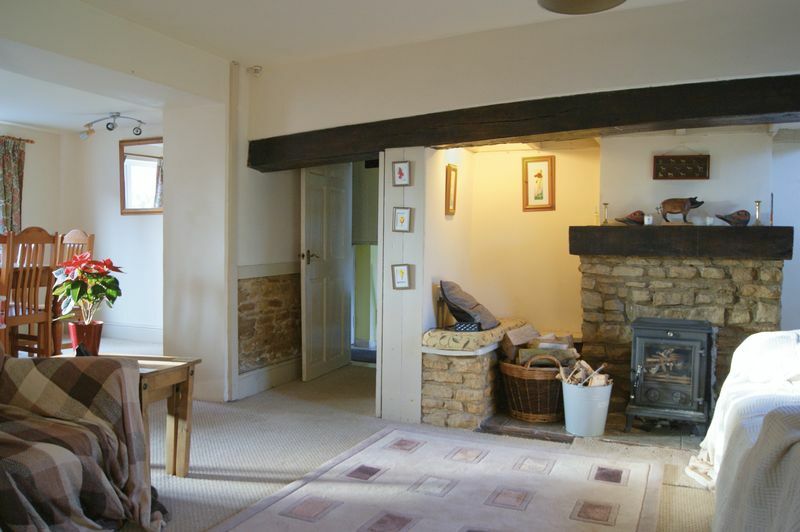 The hallway boasts an exposed stone wall, and also has a ceiling light point and a radiator. 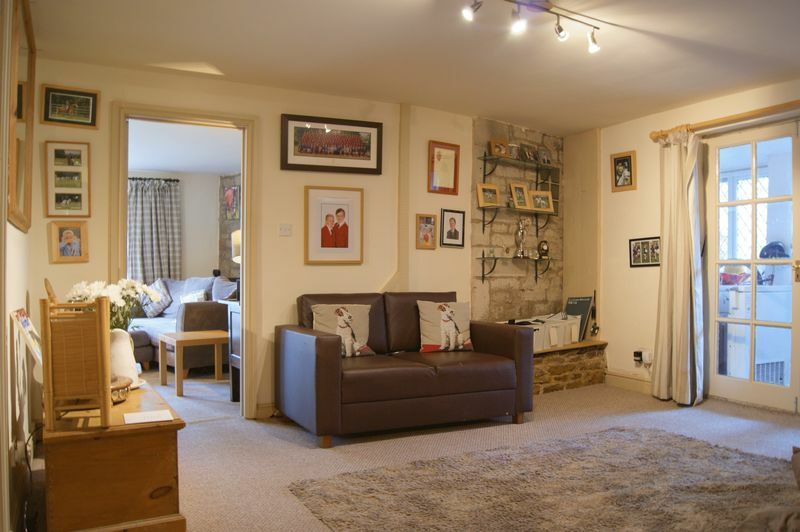 This delightful reception room has two windows and sliding patio doors looking out to the substantial rear garden. 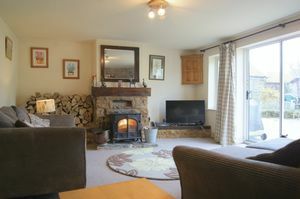 The focal point of the lounge is the feature fireplace with log burning stove sat on a stone hearth. 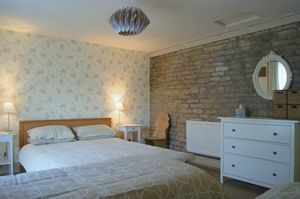 The room is further complemented with an exposed stone wall. There is a ceiling light point and a radiator installed. 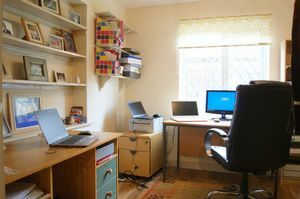 This excellent sized study has a window to the side elevation and is complemented with wood laminate flooring. There is also a ceiling light point and a radiator. The sitting room has a window to the side elevation, a ceiling light point and a radiator. 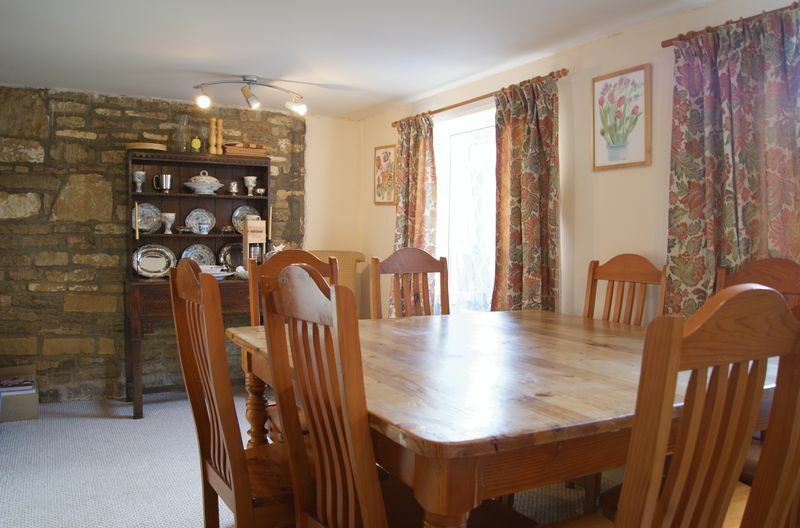 Although currently utilised for storage, this room would lend itself for use as an additional reception room, play room or family room if required. The kitchen has a window overlooking the driveway, and is fitted with a good range of base and wall units, with contrasting roll top work surfaces and tiled splash backs. There is a one and a half bowl ceramic sink, an integrated oven with ceramic hob and extractor hood above, and space and plumbing for a dishwasher. 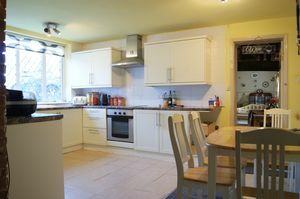 The kitchen is of sufficient size to accommodate a small dining table, and is complemented with ceramic tiled flooring. In addition there is a ceiling light point and a radiator. From the kitchen a stable door leads into the side porch, a door leads to one of the two staircases that rise to the first floor, and a further door leads into the drawing room. Also accessed from the kitchen is the utility room. The porch has a door leading out to the side of the property, and provides excellent further storage space. There are base and wall units and a door leading to the utility room. The utility room has a window overlooking the driveway and is fitted with a range of base and wall units. 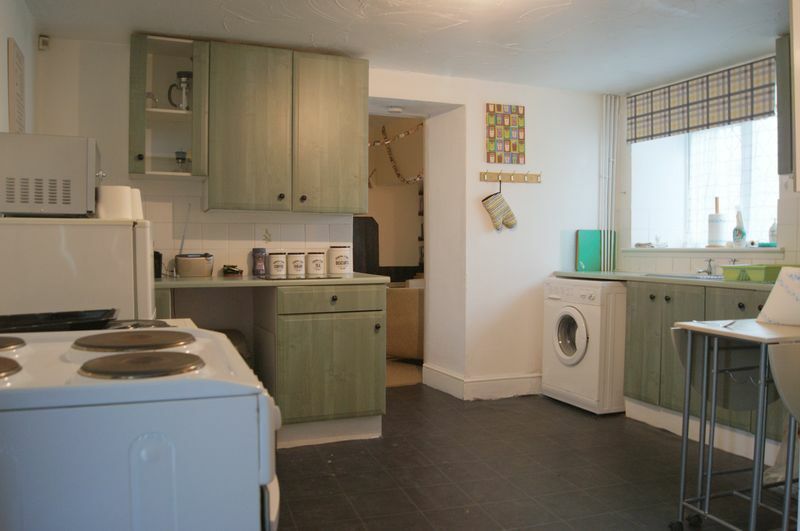 There is space and plumbing for both a washing machine and a tumble dryer. The central heating boiler is also located in the utility room. This charming reception room has an abundance of character, with an exposed beamed ceiling and stone walls. The focal point of the drawing room is the log burning stove set within the Inglenook fireplace and sat on a tiled hearth. This room has windows to two elevations and a large opening provides access through to the dining room. Also accessed from the drawing room is the second staircase leading to the first floor, beneath which is sited a useful storage cupboard. There is also a door leading to the downstairs shower room. The drawing room has a ceiling light point and a radiator. The dining room has two windows to the side elevation, an exposed stone wall and two ceiling light points. The shower room has an opaque window to the front elevation and is fitted with a walk in shower cubicle, pedestal wash hand basin and WC. The shower room has a ceramic tiled floor, part ceramic tiled walls, a ceiling light point and a radiator. This unique property has two staircases to the first floor, one from the kitchen and the second from the drawing room. The staircase from the drawing room has doors leading into bedrooms three and four. 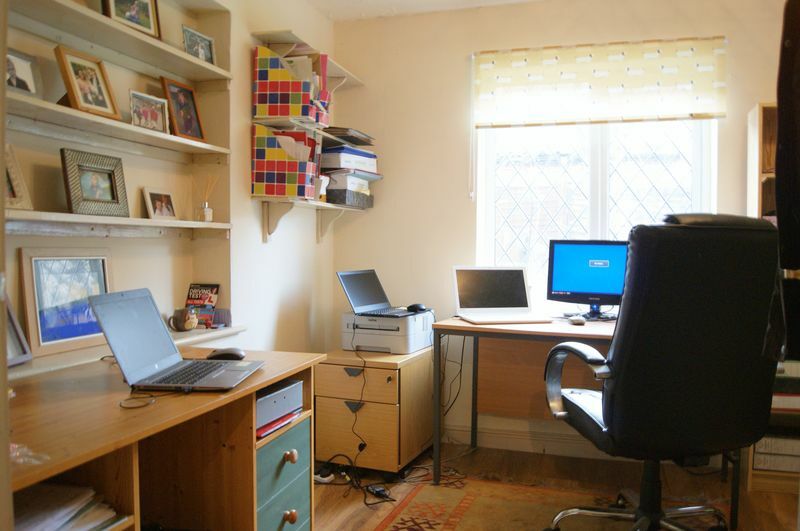 Located between these bedrooms is a useful storage cupboard. The staircase from the kitchen provides access up to the landing, and from here there are doors leading into bedrooms, one, two, three and five, and the bathroom. Also located on this landing is a versatile and useful dressing area with a window to the side elevation. In addition there are two useful storage cupboards. The landing has both wall and ceiling light points, and two radiators. A double bedroom with a window to the side elevation, a ceiling light point and a radiator. 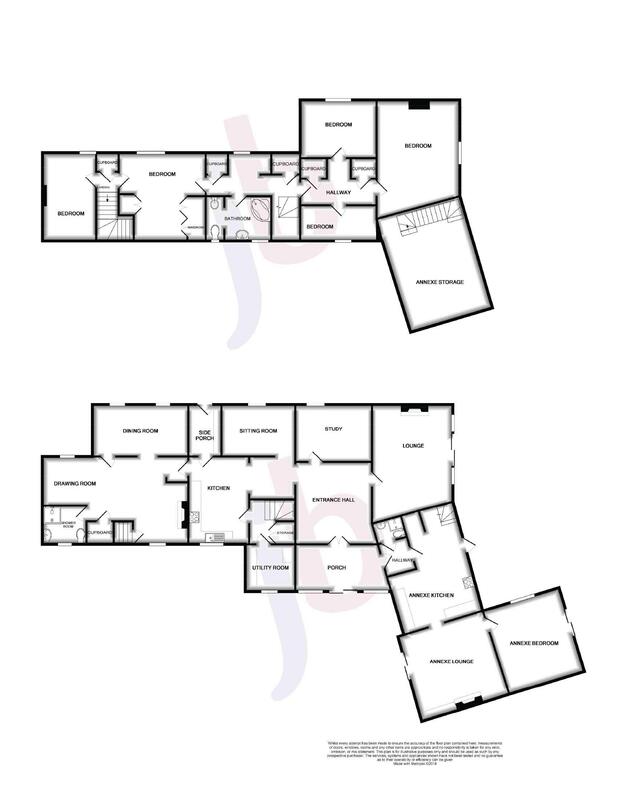 A double bedroom with a window to the side elevation. 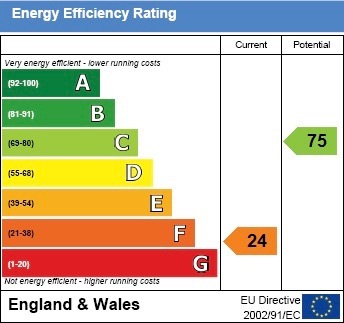 This room benefits from having a comprehensive range of fitted wardrobes. There is also a ceiling light point and a radiator installed. An excellent sized double bedroom with a dormer window to the rear elevation overlooking the sizeable garden. This bedroom has a ceiling light point and two radiators. 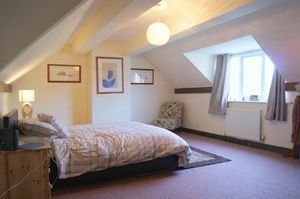 Bedroom two is also a double bedroom with a window to the side elevation, a ceiling light point and a radiator. A very good sized fifth bedroom which has a window overlooking the driveway, a ceiling light point and a radiator. The bathroom is fitted with a white suite comprising a corner spa bath with shower mixer tap attachment, pedestal wash hand basin, bidet and WC. 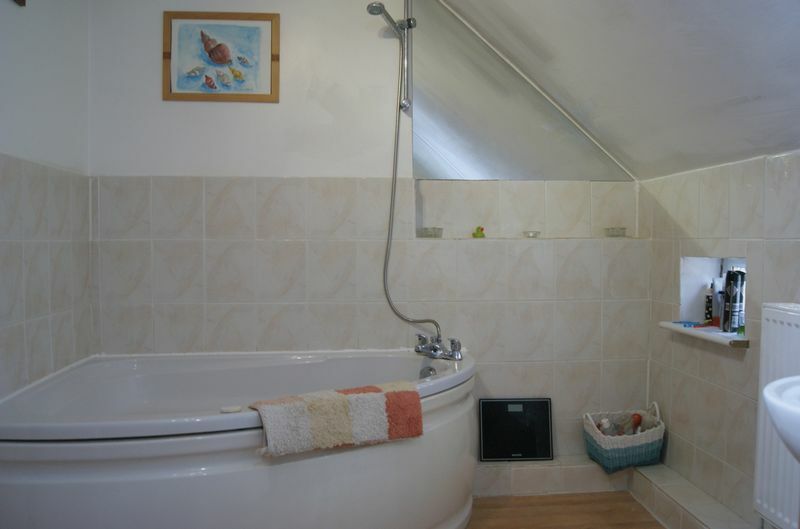 The bathroom has two opaque windows, wood laminate flooring, part ceramic wall tiling, two ceiling light points and a radiator. 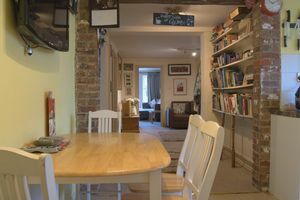 The self contained annexe, known as The Old Barn, has a sliding patio door leading into the lounge, and a further internal door that is accessed from the main house via the porch. 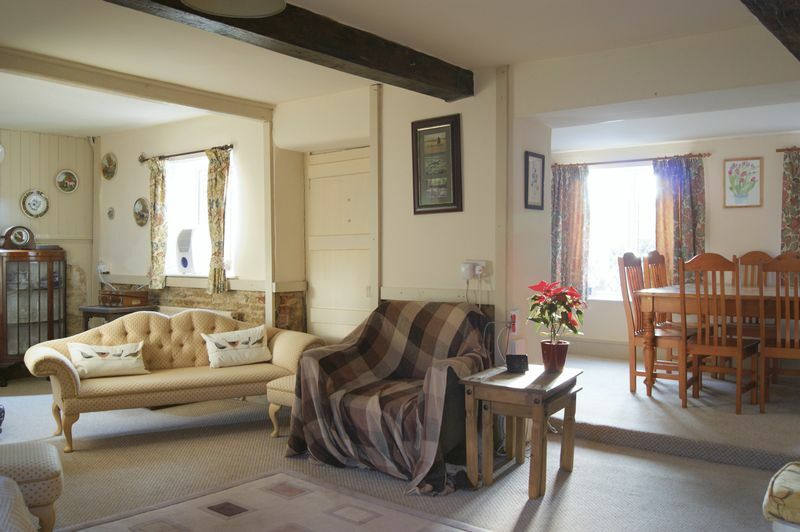 The charming annexe accommodation comprises of a spacious lounge, an excellent sized bedroom, a fully fitted kitchen and a shower room. The annexe has its own central heating system. 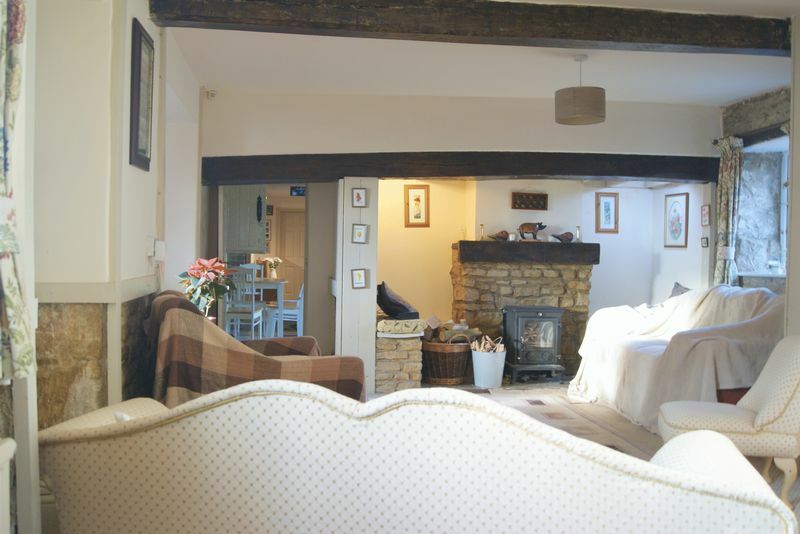 The current vendors rent The Old Barn via 'Air B n B'. The annexe lounge has sliding patio doors to the front elevation providing private access. This charming reception room has a double height ceiling with exposed roof trusses, and a feature stone fireplace with open fire inset. Accessed from the lounge are the kitchen and the bedroom. This large double bedroom has a window to the side elevation and sliding patio doors to the rear. 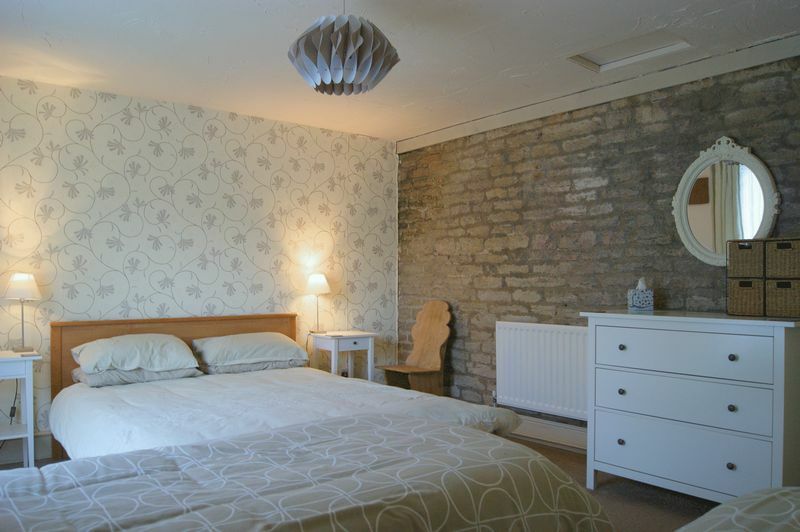 The bedroom has an exposed stone wall, a ceiling light point and radiator. The kitchen is fitted with a range of base and wall units. There is a stainless steel sink, space and plumbing for a washing machine and further space for a free standing cooker. From the kitchen a staircase rises to the attic room (18'11" x 12'8") which is currently used for storage. 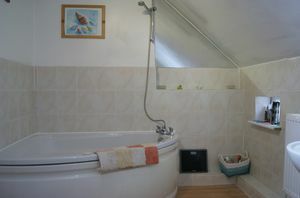 The shower room has a walk in shower with electric shower fitted, pedestal wash hand basin and WC. The room also has a ceramic tiled floor, part ceramic tiling to the walls, a ceiling light point and a radiator. The property is approached via a gravel driveway which provides off road parking for numerous vehicles. From the driveway access is obtained to both Lawn Cottage and The Old Barn. 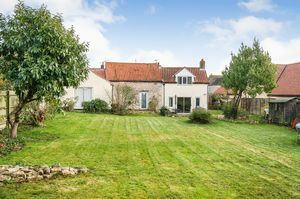 The rear garden is a further particular feature of this charming home and is of an excellent size. The garden is laid principally to lawn and contains a wide variety of mature shrubs, plants and trees. 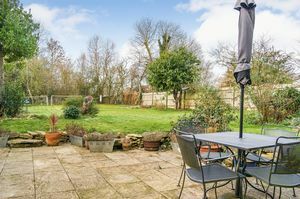 Located to the rear of the property is a sizeable patio area which provides an ideal seating and entertaining space. There is a further small garden to the side of the property, and a useful additional storage space. There are three timber garden sheds which are included within the sale. There is an additional piece of land at the end of the garden which is suitable for a vegetable garden etc. 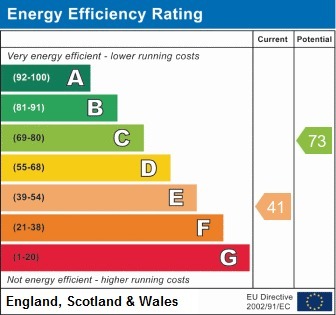 Lawn Cottage is in Band E for council tax purposes.